If you follow Instagram or YouTube, you likely know that do-it-yourself braids are all the rage. This one from Latest-Hairstyles.com guest contributor Melissa Cook is a fun, easy look to offer salon clients—and give them one more reason to visit the salon (and skip the DIY thing). The techniques behind this braid are similar to French braiding—when the strands are pulled in, they become thinner so the hair underneath shows through. The result is intricate and detailed. 1. Start with a deep side part and pull all the hair over the opposite shoulder. 2. Divide a section of hair at the back of the head on the heavy side of the part. 3. 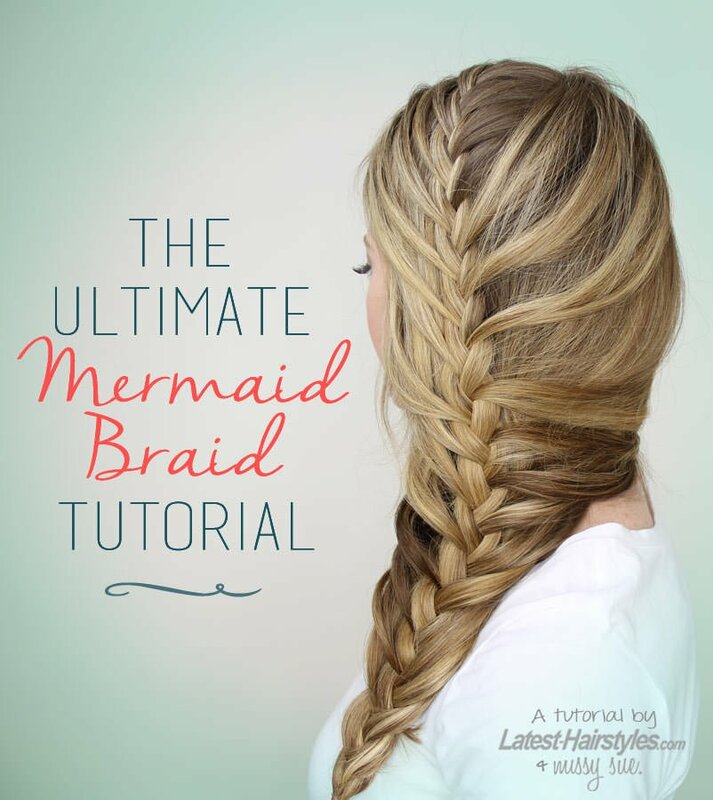 Divide this into three pieces for the braid. 4. Cross the back strand over the middle. 5. Cross the front strand over the middle. 6. Cross the back strand over the middle, then bring in a small section of hair directly below where the braid began. 7. Cross the front strand over the middle and add a small section of hair directly in front of the braid. 8. Repeat steps 6 and 7, pulling in skinny sections until the braid reaches the bottom of the hair. 9. Once all the hair is braided, secure with an elastic band.